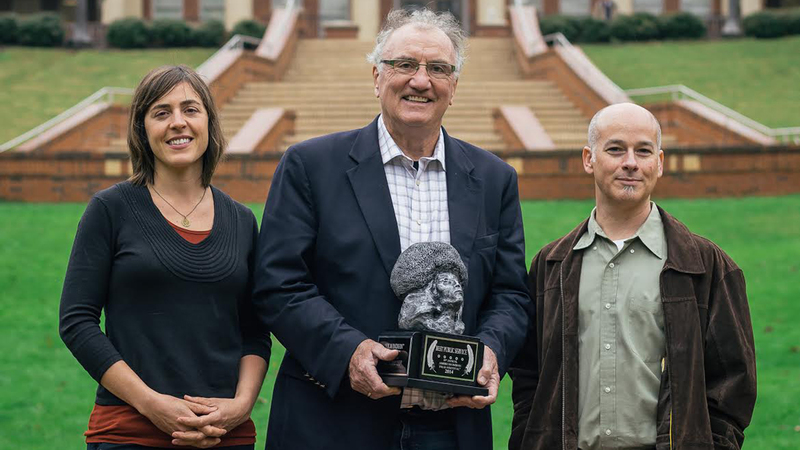 Filmmakers, from left, Danica Cullinan, Walt Wolfram and Neal Hutcheson with the Public Service Award they won at the 2014 American Indian Film Festival for First Language: The Race to Save Cherokee. The Cherokee language has been spoken for three millennia in the Appalachian highlands of western North Carolina, but if current trends aren’t reversed, Cherokee will soon go extinct. Of the 13,000 members of the Eastern Band of Cherokee Indians, only about 250 people are native Cherokee speakers who grew up speaking Cherokee as their first language in the home — and that number decreases every year as more of them pass away. The Cherokee tribe is taking steps to preserve their language, but it’s an uphill battle. NC State’s North Carolina Language and Life Project has produced a film documenting the tribe’s efforts and sounding a call to save the language. 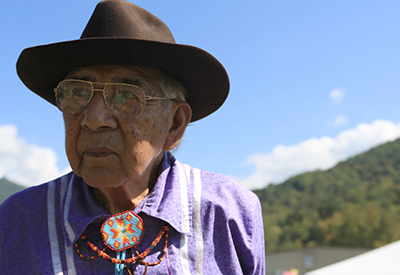 First Language: The Race to Save Cherokee will premiere at the North Carolina Museum of History on Friday, Nov. 21, at 7 p.m. First Language won the award for Best Public Service Film at the 2014 American Indian Film Festival. The film is available for purchase online. 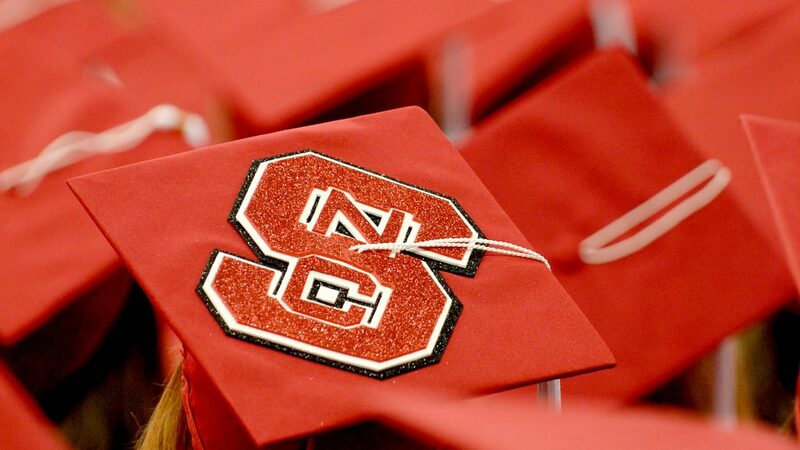 Walt Wolfram, William C. Friday Distinguished Professor of English at NC State, founded NCLLP in 1992 as the first statewide language research and outreach project in the nation. NCLLP’s research — much of which is funded by the National Science Foundation — has focused on topics such as African-American speech, language change in the urban South and American Indian Englishes. Outreach projects have included museum exhibits on Ocracoke Island and in Robeson County, a volunteer-run informational exhibit at the state fair in Raleigh and a number of documentary films, including Mountain Talk, Spanish Voices and now First Language. The movie poster for First Language: The Race to Save Cherokee, which premieres Friday, Nov. 21, at 7 p.m. at the North Carolina Museum of History. 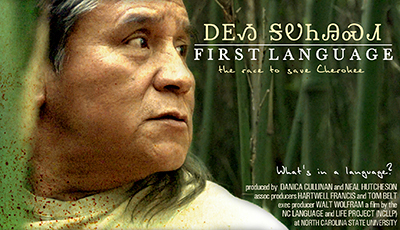 The seed of First Language was planted when Wolfram and his chief collaborators on the film, video producers Danica Cullinan and Neal Hutcheson, went to western North Carolina a couple of years ago to do research on the English spoken by Cherokee speakers. “We asked them what we could do for them in return for helping us with our research, and they asked us if we’d do a small five-minute video piece on their immersion school,” Wolfram says. The tribe runs a Cherokee language immersion school where students ranging in age from preschool through fifth grade speak nothing but Cherokee. The film documents those efforts, which include summer language camps, cultural education in tribal schools and the language immersion school, among other programs. Wolfram says one of the things that makes First Language special is that the filmmakers brought associate producers on board who are members of the Cherokee nation. The film’s producers worked closely with members of the Cherokee community. The sequences of spoken Cherokee are another element that distinguishes First Language from other documentaries about endangered languages or North Carolina culture. The filmmakers are making those recordings available to the Eastern Band of Cherokee Indians as a cultural legacy to enhance the tribe’s overall efforts to preserve their language. As the article says, the film is available for purchase online. Just click the link at the end of the second paragraph. Terrific work! Where, when and how might I order copies of the DVD as gifts for a couple of linguists I know and get them in time for Christmas? Wonderful tribute to Native Americans and their importance to this great country. LOVE this! It’s beautiful! Makes me proud to see my Native American brothers and sister be recognized and listened to! I find this very interesting.I don’t know anything about the language and look forward to viewing this film. What a gem we have in the NC Language & Life Project. 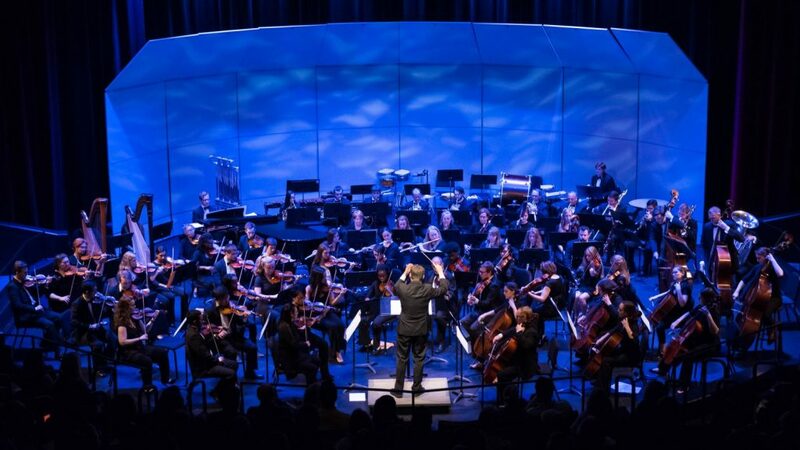 Professor Walt Wolfram in concert with talented filmmakers Neal Hutcheson & Danica Cullinan have created an extraordinary body of work through their combined scholarship and filmmaking over the past couple of decades. They have documented North Carolina culture through the remarkable prism of language, and have told remarkable stories in the process. I’m sure that First Language will be another highlight for us all.